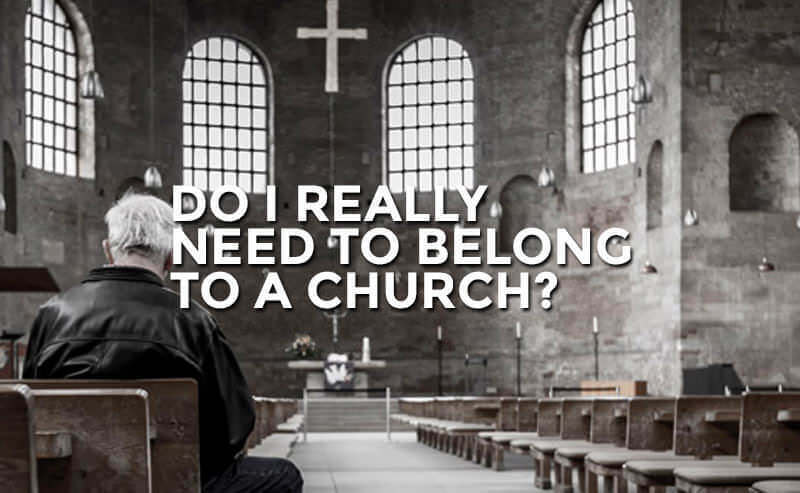 Blog Do I Really Need To Belong To A Local Church? Do I Really Need To Belong To A Local Church? Many people outside the Christian faith see church as an unnecessary, or even manipulative, institution not particularly valuable for spiritual growth or personal well-being. This mindset has certainly increased in our post-modern and post-Christian society. This is to be expected among unbelievers, but surprisingly it has become a way of thinking even for many of us who profess to know and love Jesus. As someone who has been deeply changed in the context of the local church (and has witnessed the destruction of those who neglect it), my heart is broken over its lack of perceived relevance in Christian culture today. This is certainly an issue of legitimate concern, and one that will only grow in importance, as our society becomes increasingly individualistic and self-reliant. Joining a church is one of the most counter-cultural acts a person can participate in today. Becoming a church member means leaving behind the comfort of not being bound to others. It means opening up your life to others and committing yourself to them. So, as a Christian, why do this? Why willingly subject yourself to submission, accountability, and a high degree of vulnerability about your personal life? Jesus calls the church his bride. A bride that he loves dearly; so dearly that he joyfully gave his life for her (Eph 5:25). Because Jesus was willing to die for his sin-stained bride, we (the church) have been saved from the just and lawful wrath of God and have now been adopted as his children by grace through faith in Jesus Christ alone (Gal 3:26, Eph 2:8). God is saving a people for himself; people who are blessed to call themselves his children, and therefore brothers and sisters of one another. This beautiful truth of our spiritual adoption is lived out in the context of a local church where we become a family empowered by Christ to take his gospel truth and apply it to one another in both spiritual and practical ways. In doing so, we are formed more and more into the image of Jesus until we are finally presented to him on that final day as his radiant bride. Becoming a part of a church is first and foremost a covenant with God. It is to commit to being a genuine and passionate disciple of Jesus. Discipleship requires context. Just as fish require water and plants require soil, so a disciple of Jesus requires the context of the local church. Therefore, a person’s commitment to a local church is always first a commitment to Jesus as one of his true followers. Secondly, it is a covenant to both the leaders and the other members where we promise to be there for them through a multitude of seasons and circumstances. This covenant commitment to each other is a picture of God’s unending covenant with us, his children. He promises to never leave us or forsake us (Deut 31:6), and by his grace we are able to respond to this truth with a deep commitment to one another. This type of commitment also helps us to trust others in such a way that we are able to practice certain spiritual disciplines like confession and accountability. When we can rely on others to be there for us rather than simply judge us, we are much more likely to confess our sin, receive the gospel as it is specifically applied to our hearts, be brought into true repentance, and be held accountable by people we trust as we move forward (Jam 5:16, Luke 17:3, 1 Thess 5:11). Again, this type of intimate discipleship is only possible in the context of the local church. A local church gives us a biblical framework for addressing internal conflicts and resolving them by the power of the gospel. This is not to say the law has no place in the lives of Christians, but the church gives us a radical platform for displaying grace, holding others accountable, seeking reconciliation, and ultimately painting a picture of the gospel. In the church, we are also able to learn more about biblical submission to spiritual authority. If a church itself is properly submitted under the authority of the Bible, we see the authority of Scripture lived out from the pulpit and the congregation as well. This then helps show us the importance of submission to church elders (Heb 13:17), and in this we are able to grow in humility, teachability, and the fear of the Lord. Commitment to a local church certainly doesn’t put hope in personal comfort or even reputation. Individuals must trust those in their congregation, especially those closest to them, not just to hold them accountable but to love them in the midst of their serious weakness. This depth of being known opens the door for true heart transformation. The trust that motivates and empowers us to open ourselves completely to others in this way comes only by seeing in the gospel how we ourselves are fully known and fully loved by God. It is through Christ’s life, death, and resurrection that we find hope, deliverance, peace, and joy. This often means forsaking self-interest for the sake of others. God sanctifies us greatly in this through the local church to which we are committed. The local church helps us, to be faithful disciples of Jesus. Christianity was never intended to be a solely personal faith. Living in community in the church gives us a picture of the eternally binding family God has made us a part of and gifted us with. The church also serves to help us as individuals to hold fast to our confession of faith and not stray from the truth of the gospel. The church helps us grow quickly and deeply, and as we are able to receive the gospel as it is applied in our lives as well as see this power at work in the lives of the people around us, we will be transformed and encouraged, to the praise of God’s glorious grace.